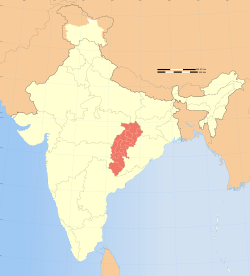 Recently, I drafted a post on a mass-suicide event (because of drought, dropping water levels, related crop failure, and mounting farm debt) in the state of Chhattisgarh based on news reports in the Belfast Telegraph, the Daily Times, and Alternet. Update: this event was not a mass-suicide as defined in these news reports. Rather – and no better – 1,500 farmers committed suicide in 2007 in the state of Chhattisgarh. And here is a post by Vandana Shiva called From Seeds of Suicide to Seeds of Hope: Why Are India Farmers Committing Suicide and How Can We Stop This Tragedy? There are two big problems in Indian agriculture which interrelate to put farmers in a situation beyond help. One is water – both pollution and groundwater levels. The aquifer is being pumped out as never before by free well pump fuel for agriculture. That seems likely to be a prelude to desertification : which is what happened in Africa. Another is the terminator seed effects are even worse than reported : a situation made crazier by legal harassment of natural farming methods in the U.S. and I expect in India also. Fertilizer costs will have been crazy : it’s a petroleum byproduct . Lost yield in a market used to higher output is subject to a double whammy because of unrealistic expectations. And the seeds ruin the ground for farming. It’s a complex mess which I have tried to summarize the essentials of somewhat in a couple of posts on my Links page. I apologize for the seeming radical nature of my speculation. I can only note that I have tried to faithfully mirror what I have found. Water-wealth and power is one category : corporate farming another…not that there aren’t other ecology categories.